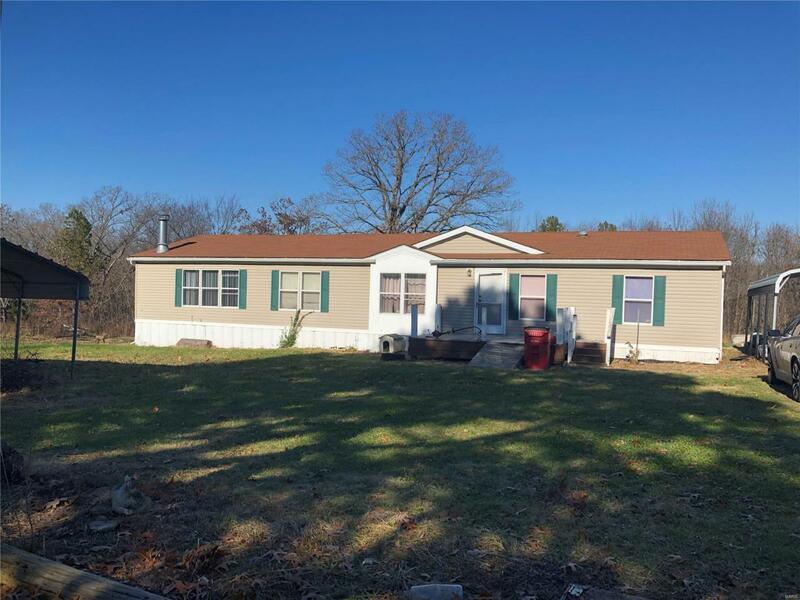 H2059 Enjoy a country setting home,yet close to town and just miles from I-44 with a large 4.5 acre lot. Mostly wooded with mature trees and about an acre or so cleared. This property features 3 bedrooms and 2 1/2 baths, large rooms and an additional family room with a gas fireplace, a sun room , and large kitchen with an island bar. There is also a chicken coop and pen, 1 carport and an original sears home used for storage that does need work. Beautiful yard and a peaceful surrounding, priced to sell!